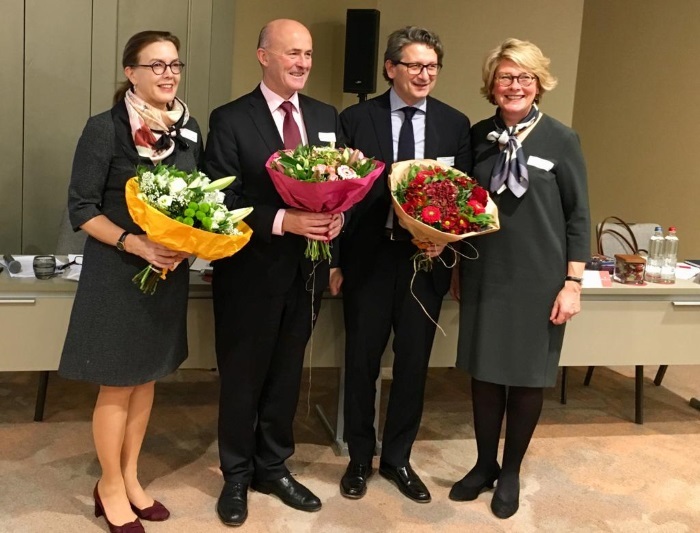 Eamonn O'Reilly was unanimously re-elected as Chairman following a vote of ESPO's General Assembly in Brussels on Wednesday afternoon. E. O'Reilly has been chairing the organisation during the last two years. The General Assembly also re-elected Annaleena Mäkilä and elected Zeno d'Agostino as Vice-Chairs. Ms Mäkilä is currently Managing Director of the Finnish ports Association and has been Vice Chair since 2014. Mr d'Agostino is President of Assoporti, the Italian Association of Ports and President of the Port Network Authority of the Eastern Adriatic Sea. Z. d'Agostino replaces Bernard Mazuel (UPF-France) who has been Vice Chair for the last four years. Mr. O'Reilly has been serving as Chief Executive of the Dublin Port Company since 2010. During its General Assembly, ESPO also published its Annual Report 2017-2018, which outlines the activities of the organisation over the past year. ESPO also congratulates Port of Dublin (Ireland) for renewing EcoPorts' environmental management standard (PERS). 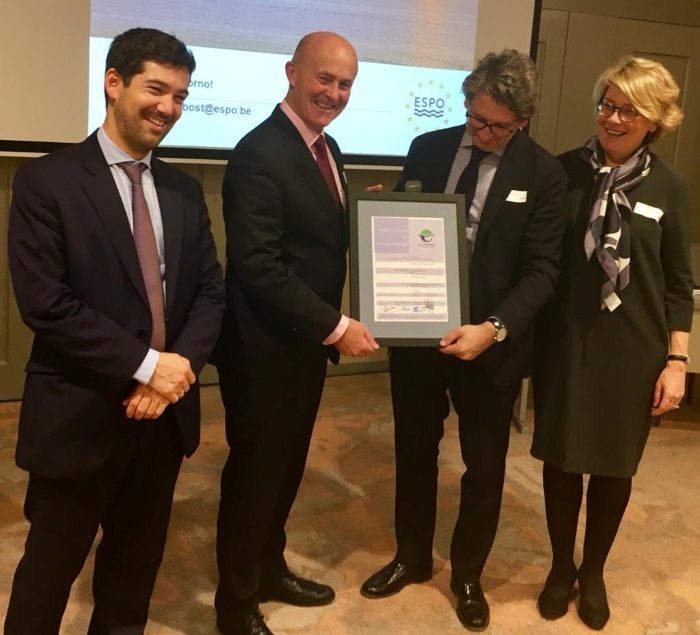 Isabelle Ryckbost, ESPO's Secretary General, Sotiris Raptis, EcoPorts coordinator, and Zeno d’Agostino, ESPO Vice-Chair, handed over the PERS certificate to the port representative during the General Assembly. One third of the 98 EcoPorts members have now acquired PERS. Compliance with the PERS standard is independently assessed by Lloyd's Register and the certificate has a validity of two years. PERS is revised after the 2-year period to make sure that the port continues to meet the requirements. 08/11/2018 20:00 - Port Of Rotterdam Wins The ESPO Award 2018!